Background: Populations of Magnaporthe, the causal agent of rice blast disease, are pathotypically and genetically diverse and therefore their interaction with different rice cultivars and also antagonistic microorganisms are very complicated. Objectives: The objectives of the present study were to characterize phylogenetic relationships of 114 native Magnaporthe strains, isolated from rice and different weeds in the North region of Iran and to study their interaction with the fungal and bacterial antagonists. Materials and Methods: Phylogenetic studies (lineage structure, cluster analysis and gene flow) were performed using AFLP DNA fingerprinting. Antagonistic effects of the native fungal (Trichoderma harzianum) and bacterial (Bacillus subtilis and Pseudomonas fluorescens) against Magnaporthe strains were assayed at In vitro levels using factorial experiments based on completely randomized designs (CRD) and mean comparison tests. Results: In total, 39 clonal lineages including 48 haplotypes were identified among the strains of M. grisea and designated here as A-Z. AFLP marker could finely differentiate the strains isolated from various hosts. The strains isolated from Setaria sp. were much close to those from rice (Oryza sativa L.). Magnaporthe strains isolated from Digitaria sp. showed higher genetic variation than other strains. Genetic distances revealed by the AFLP markers could be finely differentiated M. grisea and M. salvinii. The rate of gene flow was an evidence of low gene transferring among Magnaporthe populations and the existence of a complex species for Magnaporthe strains. The fungal and bacterial antagonists showed different reactions against different Magnaporthe strains. These results confirmed high genetic diversity between the Magnaporthe strains which was also previously determined by the AFLP experiments. Conclusions: It was concluded that the Magnaporthe populations in Iran have a complex genetic diversity, and therefore, to achieve an efficient control of the different strains and pathotypes of Magnaporthe sp, it is necessary to use different bacterial and fungal biocontrol agents as a dynamic and integrated control system. Pyricularia grisea Sacc. (Magnaporthe grisea (T. T. Hebert) M. E. Barr), the causal agent of rice blast disease, is a widespread fungus which causes considerable loss in most rice-growing areas of the world (1-3). Populations of this pathogen are pathotypically diverse, which must be related to the continuous generation of novel pathogenic variation as demonstrated by several researches. Special attention was paid to pathotype analysis of Magnaporthe when the primarily inbred resistant cultivar of rice against M. grisea became susceptible in the field. Numerous pathotypes of this pathogen have been mainly characterized based on their capability to cause disease on a set of differential cultivars (2, 4). DNA fingerprinting has often been considered as an effective tool to analyze the population structure of Magnaporthe. AFLP and SSR markers are the most appropriate DNA fingerprinting methods for providing enough information required for the rational deployment of resistance genes due to its high sensitivity and precise results provided, for this reason they has been widely used for the analysis of the genetic diversity of Magnaporthe populations, and also for mapping plant resistance genes to this pathogen (5-8). In addition to markers, the phylogenetic species concept (PSC) based on the concordance of multilocus DNA sequence data has recently become popular among filamentous fungi. For example, phylogenetic analysis using actin, beta-tubulin, and calmodulin gene sequences were used as useful tools for phylogenetic studies in the Magnaporthe complex (1, 9). In Iran, the rice blast was reported for the first time in 1966 in Guilan province (10). At present, this disease is the most important disease of rice in two major rice-growing areas of Iran, namely Guilan and Mazandaran provinces (north of Iran). The loss caused by this fungus on rice in Guilan has been estimated around 15.45% (11). Several investigations in Iran have been conducted on pathotypes variation of Magnaporthe, which have mainly showed that the population structure of this fungus is highly variable in different geographical areas (6, 11-14), but these studies were not designed to determine the genetic structure of Iranian P. grisea populations. Analyses of the population structure of M. grisea isolated from rice in Iran was primarily performed by Javan-Nikkhah et al. (15) using rep-PCR marker, which subsequently followed by Hemati (16) and Bargnil (17) on the strains isolated from rice and weeds. The objectives of the present study were: (i) determining the genetic relationship among Magnaporthe spp. strains isolated from rice and other hosts such as weeds, mostly belonging to Poaceaea in Iran, using an AFLP marker, (ii) determining the phylogenetic relationship among the identified genotypes of M. grisea and M. salvinii (Catt.) R.A. Krause and R.K. Webster using an AFLP marker, (iii) in vitro evaluation of M. grisea genotypes reactions against the fungal and bacterial antagonists. One hundred and eight M. grisea isolates, previously isolated from rice (28 strains) and weeds (including Setaria sp. (17 strains), Digitaria sp. (40 strains), and Echinochloa sp. (23)) in different regions of Guilan and Mazandaran provinces, were used (13-16). Six M. grisea strains isolated from other hosts, including Eleusine coracana and Hordeum vulgare in Tailand, India and Uganda, were used as standards. Four strains of M. salvinii isolated from rice were also used to investigate the phylogenetic relationships between these two species. Four Bacillus subtilis and nine Trichoderma harzianum strains (provided by Microbial Gene Bank of Agricultural Biotechnology Research Institute of Iran) and eight Pseudomonas fluorescens strains (provided by Bacterial Culture Collection of Tehran University), were used for antagonistic tests (Table 1). Genomic DNA of Magnaporthe strains was extracted according to the method of Dellaportha et al. (18). AFLP technique was performed according to Tredway et al. (8) with minor modifications. Template DNA(125 ng) was digested with 1.25 units of Eco RI, 1.25 units of MseI, and 2.5 mL of 5× reaction buffer (50 mM Tris-HCl [pH 7.5], 50 mM Mg-acetate, 250 mM K-acetate) at 37°C for 2 h, followed by heat deactivation of the enzymes at 70°C for 10 min. Double-stranded EcoRI and MseI adapters were ligated with 0.5 units of T4 DNA ligase and 12 mL of adapter/ligation solution (EcoRI/MseI adapters, 0.4 mM ATP, 10 mM Tris-HCl [pH 7.5], 10 mM Mg-acetate, 50 mM K-acetate) at 20ºC for 2 h and then diluted 10×. Preamplification was performed using primers complimentary to the adapter sequences with no selective nucleotides. Diluted ligation reaction (2 mL) was added to 2 mL of 10× PCR buffer (100 mM Tris-HCl [pH 8.3], 500 mM KCl),1.5 mM MgCl2, 1 unit of Taq DNA polymerase, 50 ng of EcoRI primer, 50 ng of MseI primer, 0.2 mM of each dNTPs, and water to a final volume of 20 mL. Thermal cycling conditions included an initial denaturation step at 94ºC for 1 min followed by 30 cycles at 94ºC for 30 s, 56ºC for 1 min, 72ºC for 1 min, and a final extension step at 72ºC for 1 min. The preamplification products were diluted 20× for use in selective amplification reactions. Selective amplification reactions were performed with EcoRI and MseI primers that included 3 selective nucleotides. A single Eco RI primer (E-ATA) was used in combination with three MseI primers (E-AAT, E-AAA, and E-TTT) to yield three primer pair combinations. Selective PCRs (4-mL volume) contained 1 mL of diluted preamplification product, 1.5 ng of Eco RI primer, 9 ng of MseI primer, 0.15 unit of Taq DNA polymerase, 0.4 mL of 10× PCR buffer (100 mM Tris-HCl [pH 8.3], 500 mM KCl), 1.5 Mm MgCl2, and 0.2 mM of each dNTPs. Thermal cycling conditions included an initial cycle at 94ºC for 30 s, 65ºC for 30 s, 72ºC for 1 min, followed by a touchdown phase where the annealing temperature was lowered to 0.7ºC, each cycle for 12 cycles, and finally 23 cycles at 94ºC for 30 s, 56ºC for 30 s, and 72ºC for 1 min. For each Magnaporthe strain, 1.5 mL of selective amplification product from each of the three primer combinations was combined with 0.85 mL of formamide, 0.30 mL of GS-500 ROX internal size standard (Applied Biosystems), and 0.35 mL of loading dye (Applied Biosystems, Foster City, USA). The mixture was denatured at 95ºC for 5 min, and then separated on a 5% polyacrylamide gel on a Perkin-Elmer ABI Prism 377 DNA sequencer (Applied Biosystems, Foster City, USA). DNA fingerprints were primarily divided into groups based on visual similarities among amplified DNA profiles. Subsequently, the identified groups were analyzed together on the same gel to confirm an overall fingerprint identity and to quantify the number of shared amplicons among strains. DNAs from a couple of strains representing a particular lineage were separated on electrophoresis gels, together with representatives of other putative lineages to allow scoring of individual amplicon positions. Binary codes were used to score the bands for presence (1) and absence (0). The binary data was used to calculate genetic distances between all pairs of strains based on the mean character difference using the distance option in NTSYSpc version 2.10 (NTSYSpc, Numerical Taxonomy System, Exeter Software). Cluster analysis was conducted based on the genetic distances, and a dendrogram was constructed using UPGMA (unweighted pair group method with arithmetic average) method. A cophenetic value was calculated using NTSYS. Based on visual assessments, similarity coefficients, and the stability of each group in the dendrogram, a similarity level of ³70% was used to define lineage groups. Some indices such as the number of effective alleles (Ae) were measured using software POPGen 32. F statistics for measurement of differentiation levels between or within the populations were performed by POPGen32; molecular variance analyses (19) by GenALEX version 6.1; standard genetic distance by POPGen32 and GenALEX version 6.1 and analyses of Principal Coordinates by GenALEX version 6.1. Phylogenetic analysis of Magnaporthe strains based on AFLP data was carried out using DARwin 5 version: 5. 0. 146 with 1000 bootstrap replicates, followed by phenograms drawing. To investigate reaction of Magnaporthe strains against antagonistic organisms and to determine its association with AFLP groups, one strain from each clonal lineage was selected based on occurrence on each host, including Echinochloa sp., Digitaria sp., Setaria sp., E. coracana and H. vulgare. Four native Bacillus subtilis strains, nine Pseudomonas fluorescens native strains and nine native fungal strains of Trichoderma harzianum were used in the experiments. The experiments with bacterial strains were performed according to the method of Expert and Digat (20). Strains of bacterial antagonists were co-cultured with Magnaporthe strains in Petri plates in triplicates. The experiments with Trichoderma strains was performed according to Bell et al., (21) method. The antagonistic effect of fungal and bacterial strains against Magnaporthe strains was evaluated using factorial experiments (bifactorial) based on completely randomized designs (CRD) with mean comparison tests (Duncan’s test) performed. Statistical analysis was performed using the software SAS version 9. 1. The Magnaporthe isolates were divided into thirty nine lineages designated as A-Z. These lineages were obtained by scoring 41 resolvable DNA amplicons, ranging from 220 to 2500 bp (Figure 1). DNA banding similarity among strains within a putative lineage ranged from 70 to 100%. The rate of r-coph was consistently variable between 89 and 90%. Due to high similarity among haplotypes (more than 95%), only 48 unique haplotypes were used in AFLP statistical test and subsequent phenogram drawing (Table 2). The resultant phenogram showed that Magnaporthe strains were mainly differentiated according to their hosts (Figure 2). The M. salvinii strains (33s and 6s) were separated from strain d90 on Digitaria sp. and M. grisea with 77% and 50% similarity coefficient, respectively. Furthermore, M. salvinii strains were differentiated from each other with a percentage higher than 95% similarity coefficient. In a phenogram drawn on Magnaporthe strains from four hosts, namely Digitaria sp., Setaria sp., O. sativa and E. coracana, 39 clonal lineages and 48 haplotypes were recognized in the similarity coefficient of 80% (Table 2). The strains S7 and S3 of M. grisea on Setaria sp. were separated from those on rice with 63% and 46 % similarity coefficient, respectively. Three clonal lineages A, B and C were differentiated from strains on rice with 34% similarity coefficient. Clonal lineages A, B, C, D, G, J, N and O, each with one haplotype, include M. grisea strains on Setaria sp. Clonal lineages E, F, K, L, M, are also with one haplotype and accommodate M. grisea strains on rice. Clonal lineages H and I, including those strains on Echinochloa sp., were finely separated from those on rice with 48% similarity. It is noteworthy to mention that the standard strain br-114 isolated from E. coracana was separated from strains on Digitaria sp. with 43% similarity. The strains isolated from Digitaria sp. were differentiated from each other with 45% similarity. However, the strains isolated from rice and Digitaria sp. were placed in two separate groups, which imply on the far genetic distance between these strains. Those strains obtained from Digitaria sp. were differentiated from others on Setaria sp. with 47% similarity coefficient and were placed in two separate groups. Those strains obtained from Setaria sp. were differentiated from each other with 27% similarity coefficient. Furthermore, the strains isolated from Digitaria sp. were differentiated from each other with more than 50% similarity coefficient. These results indicate that genetic variation within the populations of Magnaporthe is more significant (73%) than between populations (27%). AFLP banding patterns analysis of the populations revealed that there is a specific band in the populations on Setaria sp., which is absent in other populations. This analysis indicated that this specific band belongs to strain S7. Gene flow rate was low and estimated around 0.9%. PcoA analysis additionally confirmed that the strains were mainly separated from each other according the hosts they have occupied. In another analysis based on Nei coefficient in NTSYS pc version 2.10, used to show the genetic differences between M. salvinii and M. grisea, it was demonstrated that these two species are differentiated from each other with 35.7% similarity, and standard strains which are placed in a separate group, are differentiated from these two species with 45 % similarity. In addition, the strains isolated from Digitaria sp. were separated from those on rice, Setaria sp. and Echinochloa sp. with 23% similarity. The strains isolated from Setaria sp. and Echinochloa sp. were much closer to each other. The lowest genetic distance was recorded for strains isolated from Setaria sp. and Echinochloa sp. These strains were differentiated from those on rice with 18 % similarity (Figure 3). The Shanon and Vier index and gene flow rate was estimated around 0.6 and 0.59, respectively. Phylogenetic analysis of Magnaporthe strains based on AFLP marker, placed strains of M. salvinii as an out group for the clade including the strains of M. grisea. The robustness of phylogenetic dendrogram was evaluated with 1000 replicates of bootstrap (Figure 4). The resultant phylogenetic phenograms also confirmed the differentiation of Magnaporthe strains mainly according to their hosts. These phenograms revealed that the strains of M. salvinii are much closer to those strains isolated from Digitaria sp., although they are less closer to strains isolated from Setaria sp. Strain S7 showed high similarity with strains on rice as was also shown by AFLP. Consequently, the strains isolated from Setaria and Echinochloa sp. were much closer to each other. In vitro antagonistic essays showed that P. fluorescens strains had more inhibitory effects on Magnaporthe strains than B. subtilis strains. The strains Prs3 and Prah4 (P. fluorescens) represented the highest antagonistic effects, 7.16 and 5.33 mm, respectively. Among the strains of B. subtilis, strain 6 had higher inhibitory effect, while the strains Kbzl and 9 had less significant inhibitory effects (Figure 5A). It was also showed that M. salvinii and M. grisea strains isolated from Echinochloa sp. leaves were more resistant than other strains against bacterial antagonists. In contrast, strains isolated from Setaria sp. were the most sensitive strains against bacterial antagonist; with strains on rice and Digitaria sp. in the second and third position (data was not shown). These results showed that different fungus strains from different hosts had different responses against the antagonistic bacteria. Over the last three decades, rice blast has become the most important pathogen in rice-growing areas of Iran. Therefore, several investigations have been conducted to evaluate the pathotypes diversity of M. grisea in various rice-growing regions of Iran (12-13, 15-17). It seems that genotype flow of M. grisea from outside north region of Iran has not been enough to introduce some new genotypes. Short growing season and good environmental conditions are favor for sporadic blast epidemics and genetic drift more likely. This phenomenon could maintain diversity in the fungal population at low level. The widespread distribution of common haplotypes is consistent with regionally significant gene flow. Evolution in these populations is likely characterized by selection among different mutants that occur within the existing clonal lineages followed by movement of regionally selected genotypes. The low level of pathotype diversity (22) and lack of correlation between DNA fingerprint and pathotypes suggest that selection has favored the same spectrum of virulence in each clonal lineage. There was no evidence for sexual recombination in the studied population which is consistent with the dominant asexual reproduction observed in most rice-growing areas of the world. However, further characterization of M. grisea strains in Iran with mating-type or multi-allelic, co-dominant, neutral genetic markers could probably provide evidence for the role of sexual or parasexual recombination in maintaining haplotype diversity of this fungus in Iran (15). Evaluation of genetic variation of M. grisea, based on DNA fingerprinting using AFLP markers determined the genetic variation among the M. grisea strains on Digitaria sp., rice and Setaria sp. The Magnaporthe strains were mainly differentiated according to their hosts which confirm that the cross infectivity has not occurred or is at a low level. Gene flow rate was estimated around 0.9%, which implies a low rate of gene transfer or genotypes throughout populations of M. grisea on various hosts, as it was demonstrated by low genetic distance between some populations and high genetic distance between the others. These results were consistent with those results obtained by Couch and Kohn (1) using PCR-RFLP technique. Therefore, it seems that the clonal lineages are mainly separated according to the host they have been isolated from. Higher genetic similarity among M. grisea strains on Digitaria sp. was commonly observed which was also shown by Kato et al. (23). The far genetic distance between strains of M. grisea on Digitaria sp., rice and Setaria sp. confirmed the distant phylogenetic relationship between these two groups. However, the strains isolated from Setaria sp. and a strain from Echinocloa sp. were much closer to those strains on rice (more than 70 %). It is evidence that there is a close genetic relationship between strains isolated from Setaria sp. and rice, as grouped in the same species. The far distance among DNA fingerprinting groups of M. grisea strains on Digitaria sp., rice and Setaria sp. could be evidence of far relationship between these two groups of strains which supports the inclusion of these strains in two separate species groups, M. grisea and M. oryzae. In the case of accepting M. grisea and M. oryzae as separate species, based on the AFLP data (far genetic distance) it can be concluded that the possibility of cross reactions between these two species would be rare or even impossible. Furthermore, the lack of genetic variation within each clonal lineage can be an evidence of in situ asexual (clonal) reproduction of strains. Therefore, it seems that the role of sexual reproduction in genetic variation within the populations of Magnaporthe to be less significant. Choe et al. (2013) studied 103 isolates from different grass species and analyzed their phylogenetic relationships and pathogenicity. Phylogenetic analyses of multilocus sequences and DNA fingerprinting revealed that the haplotypes of most isolates were associated with their hosts, whereas only six isolates showed potential host shift in nature. The current research confirmed results of Taheri and Irannejad (6) and Hemati (16) which implied on high genetic variation among strains on rice and weeds, respectively. It was also concordant with Bargnil (17) which showed high genetic similarity between strains isolated from Setaria sp. and rice and genetic differences between strains on Digitaria sp. and those on rice and Setaria sp. However, this study questioned arguments of Bargnil (17) on the existence of low genetic variation among the strains on Digitaria sp., as these strains showed higher genetic variation than other strains here. AFLP marker was also recognized here to be the most useful DNA fingerprinting tool for resolving the high genetic variation of this fungus compared with other fingerprinting techniques applied by several previous researchers such as RAPD and rep-PCR (6, 15, 22-24). However, this research confirmed results obtained by Javan-Nikkhah (15) showing the low genetic variation among strains isolated from rice in Iran. All M. grisea strains showed high genetic variation and distant genetic relationship, which was also shown by Kato et al. (23) implying that there is less possibility of cross reactions between these two groups of fungi. The strains isolated from Setaria sp. revealed higher genetic variation than those on rice, which is concordant with Javan-Nikkhah (15). The rate of gene flow was estimated here around 0.9%, which imply on low gene transfer among strains of Magnaporthe, as was shown by Couch and Kohn (1). Therefore, we also suggest the existence of complex species for strains of Magnaporthe, as Takan et al. (24) and Couch and Kohn (1) did. It is noteworthy to mention that the high amount of recombination (nearly 41%) was observed among strains of Magnaporthe. Shanon and Vier index was estimated around 0.6 which shows that AFLP marker could successfully differentiate this fungus strains up to 60%. The rate of Gst, 0.35, shows the high genetic variation among populations of Magnaporthe. The results of phylogenetic analysis were also highly concordant with those of AFLP marker. Previously the possibility of biocontrol of Magnaporthe using antagonists was confirmed (3, 25-26). The fungal and bacterial antagonists showed different reactions against different Magnaporthe strains. These results confirmed high genetic diversity between the Magnaporthe strains which was also previously determined by AFLP experiments. In the bioassays, it was shown that native P. fluorescens strains had more significant inhibitory effect on Magnaporthe strains than B. subtilis. The strains of M. salvinii represented the different reactions than those of M. grisea and proved to be more resistant against both fungal and bacterial antagonists. The strains isolated from Digitaria sp., E. coracana and H. vulgare, had similar antagonistic reactions against fungal and bacterial antagonists. In addition, the strains on Setaria sp., Echinochloa sp., and rice represented similar reactions against antagonistic agents. The results of this study can form the basis for a breeding program to improve new resistant cultivars to all clonal lineages of Magnaporthe. Based on the obtained results, it was shown that M. grisea populations in Iran have high genetic diversity, and the representative of each group was selected which can be used during the plant breeding and microbial biological control programs. Also, it is possible to conclude that because of the complex genetic diversity of the studied fungus strains in Iran, we need to use different bacterial and fungal biocontrol agents to have an efficient control of different strains and pathotypes of Magnaporthe sp. This study was partly supported by Agriculture and Biotechnology Research Institute of Iran, Karaj (ABRII). We are grateful to Dr. Kowsari, Mrs Mousivand, Mrs Kazemi and Mrs. Vasfi for kindly assistance and advice. 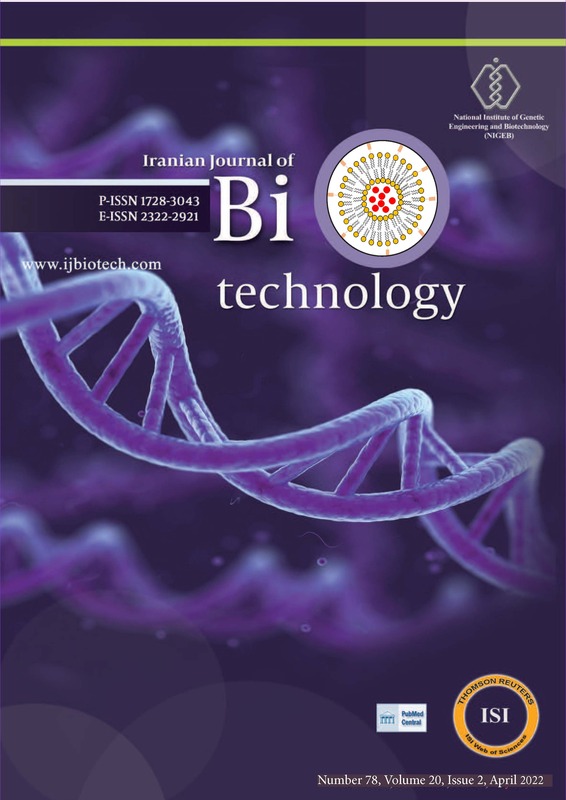 Masoud Niknam-Galejugi: AFLP analysis and antagonistic effects, Gholamreza Salehi Jouzani: elaboration of AFLP and bioassay results, Mohammad Javan-Nikkhah: designing of the experiments. This work was partially supported by a grant from Agricultural Biotechnology Research Institute of Iran (ABRII). 1. Couch BC, Kohn LM. A multilocus gene genealogy concdant with host preference indicate segregation of a new species, Magnaporthe oryzae, from M. grisea. Mycologia. 2002;94(4):683-693. 2. Ou SH. Rice Diseases. 2nd Ed. Commonwealth Mycological Institute Association of Applied Biology, Kew, Surrey, England, 1985. 3. Mathioni SM., Patel N., Riddick B., Sweigard JA., Czymmek KJ, Caplan JL, Donofrio NM. Transcriptomics of the rice blast fungus Magnaporthe oryzae in response to the bacterial antagonist lysobacter enzymogenes reveals candidate fungal defense response genes. PloS one. 2013;8(10):e76487. 4. Scheuermann KK., Raimondi JV., Marschalek R., de Andrade A, Wickert E. Magnaporthe oryzae genetic diversity and its outcomes on the search for durable resistance. Mol Basis Plant Genet Divers. 2012;331-356. 5. Douhan GW, De la Cerda KA, Huryn KL, Greer CA, Wong FP. Contrasting genetic structure between Magnaporthe grisea populations associated with the golf course turfgrasses Lolium perenne (perennial ryegrass) and Pennisetum clandestinum (kikuyugrass). Phytopathol 2011;101(1):85-91. 6. Taheri P., Irannejad A. Genetic structure of various Magnaporthe oryzae populations in Iran and Uruguay. Aus Plant Pathol. 2013;1-11.
nthilvel S., Thakur RP. Evaluation of genetic diversity in Magnaporthe grisea populations adapted to finger millet using simple sequence repeats (SSRs) markers. Physiol Mol Plant Pathol. 2013;84: 10-18. 8. Tredway LP, Stevenson KL, Burpee LL. Genetic structure of Magnaporthe grisea populations associated with St. Augustine grass and Tall Fescue in Georgia. Phytopathol. 2005;95:463-471. 9. Choi J, Park SY, Kim BR, Roh JH, Oh IS, Han SS, Lee YH. Comparative analysis of pathogenicity and phylogenetic relationship in Magnaporthe grisea species complex. PloS one. 2013;8(2):e57196. 10. Sharif GH, Ershad J. A list of infecting fungi on crops, trees and shrubs in Iran. Institute of Pest and Disease Research of Iran, Tehran, Iran, 1966. 11. Javan-Nikkhah M, Hedjaroude GA. Study on physiological races of rice blast disease in Guilan, Iran. In: Proceedings of the 14th Iranian Plant Protection Congress, Isfahan, Iran 2000; 245. 12. Fatemi J, Rahimian H. Prevalence and distribution of the rice blast disease in Iran. Plant Disease Rep. 1975;59:991-994. 13. Izadyar M. Pathogenic races of Pyricularia oryzae in Guilan province of Iran. Iran J Plant Pathol.1982;18: 52-57. 14. Motallebi P, Javan-Nikkhah M, Okhovvat SM, Fotouhifar KB., Bargnil M. Vegetative compatibility groups within Iranian populations of Magnaporthe grisea species complex from rice and some grasses. J Plant Pathol. 2009;91(2):469-473. 15. Javan-nikkhah M, McDonald BA, Banke S. Genetic structure of Iranian Pyricularia grisea population based on rep-PCR fingerprinting. Eur J plant pathol. 2004;110:909-919. 16. Hemmati R, Javan-Nikkhah M, Okhovvat SM, Ghazanfari K. Study on genetic diversity of Magnaporthe grisea using PCR and determination of the mating type alleles distribution in Mazandaran province, Iran. Commun Agric Appl Biol Sci. 2005;70(3):311-3. 17. Bargnil M. An investigation on the structure of Magnaporthe grisea (Hebert) Barr population, isolated from weeds belonging to Poaceaea, and evaluation of their mating type alleles distributions, using PCR. M. Sc dissertation. Tehran University, Karaj, Iran, 2008. 18. Dellaportha LM. DNA purification for molecular probes like molecular markers analysis, PCR protocols. Nucleic Acid Res. 2003;132:100-10. 18. Exophire MB. Analytical Molecular Biology. Trowbridge., Wiltshire, UK, 1992. 19. Expert JM, Digat B. Biocontrol of Sclerotina wilt of sunflower by Pseudomonas putida strains. Can J Microbiol. 1995;41:685-691. 20. Bell C., Webster J. Antagonistic properties of species groups of Trichoderma (I. Production of non-volatile antibiotics). Transactions British Mycol Soci. 1982;57: 25-39. 21. Javan-Nikkhah M, Hedjaroude GA, Sharifi-Tehrani A, Okhovvat SM. Study on pathogenic diversity in population of Magnaporthe grisea, the rice blast fungus in Guilan province, Iran. Iran J Agri Sci. 2003;34:647-658. 22. Kato H, Yamamoto M, Yamaguchi-ozaki T, Kadouchi H, Iwamoto Y, Nakayashiki H, Tosa Y, Mayama S, Mori N. Pathogenecity, mating ability and DNA restriction fragment lengh polymorphism of Pyricularia population isolated from Graminae, Bambusideae and Zingiberaceae plants. Plant Pathol. 2000;66:30-47. 23. Takan JP, Chipili J, Muthumeenakshi S, Talbot NJ, Manyasa EO, Bandyopadhyay R, Sreenivasaprasad S. Magnaporthe oryzae populations adapted to finger millet and rice exhibit distinctive patterns of genetic diversity, sexuality and host interaction. Mol Biotechnol. 2012;50(2):145-158. 24. Zarandi ME, Bonjar GS, Dehkaei FP, Moosavi SA, Farokhi PR, Aghighi S. Biological Control of Rice Blast (Magnaporthe oryzae) by use of Streptomyces sindeneusis isolate 263 in Greenhouse. Am J Appl Sci. 2009;6(1):194. 25. Wang YL, Liu SY, Mao XQ, Zhang Z, Jiang H, Chai RY, Sun GC. Identification and characterization of rhizosphere fungal strain MF91 antagonistic to rice blast and sheath blight pathogens. J Appl Microbiol. 2013;DOI:10.1111/jam.12153.